When I make themed food for an occasion the food becomes part of the memories of that event. I am thrilled when I have new occasions to plan for and create cute food. My niece graduated from high school and she had a large party this summer. 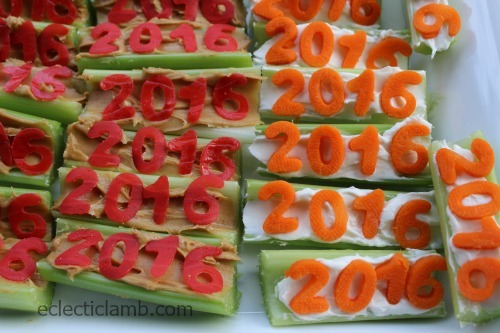 I was so happy that I was tasked with making graduation shaped appetizers. I was also thrilled that I received so many positive comments from party guests about my creations. 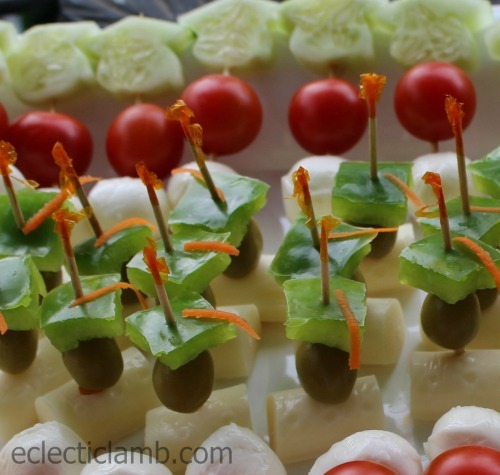 The top photo was a large tray of vegetable and cheese graduation appetizers. I made these plain diploma and graduation cap tortilla chips to go along with dips that my sister-in-law made. I cut flour tortillas with these cookie cutters, sprayed a cookie sheet and the cut tortillas with olive oil and baked at 350 degrees for about 10 minutes or until lightly browned and crisp. Of course you can add salt or cinnamon sugar if that fits into your menu. I also made a large tray of celery for appetizers. While they are great for graduations, it would also be fun for New Years Eve or other occasions that you want to mark the year in a special way. I hope that some of these ideas will be useful for your special event! 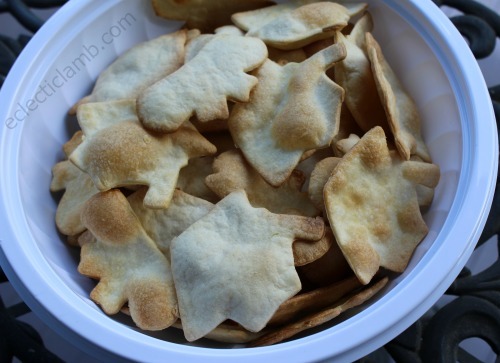 This entry was posted in Bento / Cute Food, Party Planning and tagged cookie cutters, graduation. Bookmark the permalink. Not only were they festive and cute but they all tasted good tool!